Want to make a delicious impression at your next event? Have the Head Cookie bake hot, fresh cookies at your next event and make it memorable and tasty. 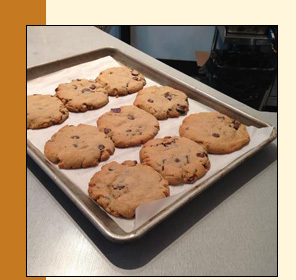 We bring a portable electric oven along with our yummy cookie batter and bake off cookies to order! 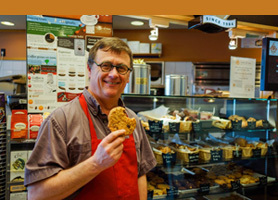 Special Orders - Note, we select flavours from the Cookie du Jour selections (above) daily. If you really, really love one of these flavours, we can bake it to order for you when you order at least 2-dozen of the same flavour , and place the order 10 days ahead of time. Fraser Valley (A rich cookie supporting local food sustainability with dried blueberries, dried cranberries, hazelnuts, butter and eggs from Fraser Valley farmers). Have something else in mind? Let's bake something up together!